She publicly conceded to Donald Trump this morning. Hillary Clinton's concession speech to Donald Trump paralleled the one she gave following her first failed presidential bid in at least one notable way. In both, she directly addressed the glass milestone that she was unable to reach. "To all the women and especially the young women who put their faith in this campaign and in me, I want you to know that nothing has made me prouder than to be your champion," she said in her concession speech this morning. "Now, I know, I know we have still not shattered that highest and hardest glass ceiling, but someday, someone will." The last time she had to make a similar statement, she was more optimistic. 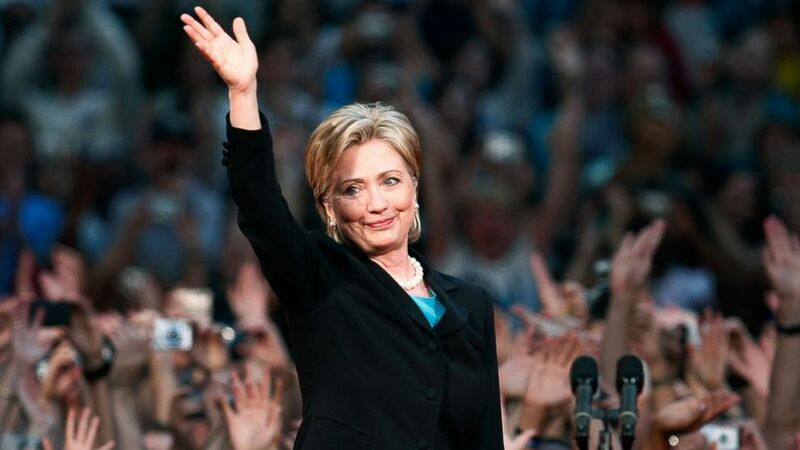 "Although we weren't able to shatter that highest, hardest glass ceiling this time, thanks to you, it's got about 18 million cracks in it and the light is shining through like never before, filling us all with the hope and the sure knowledge that the path will be a little easier next time," Clinton said in 2008 when she dropped out of the Democratic primary once it was clear that then-Sen. Barack Obama would be the party's nominee. (Mark Wilson/Getty Images) Sen. Hillary Rodham Clinton makes her concession speech to supporters at the National Building Museum, June 7, 2008 in Washington, D.C. Although she secured a win in the popular vote, the way the votes were divided by states meant that Trump won the electoral college -- and therefore the election. "This is painful and it will be for a long time," Clinton said today. But as far as the number of "cracks" in the glass ceiling, that number certainly increased. This time, there were at least 59,463,250 -- the numbers of voters who cast their ballots for the first woman nominated for President by a major party.